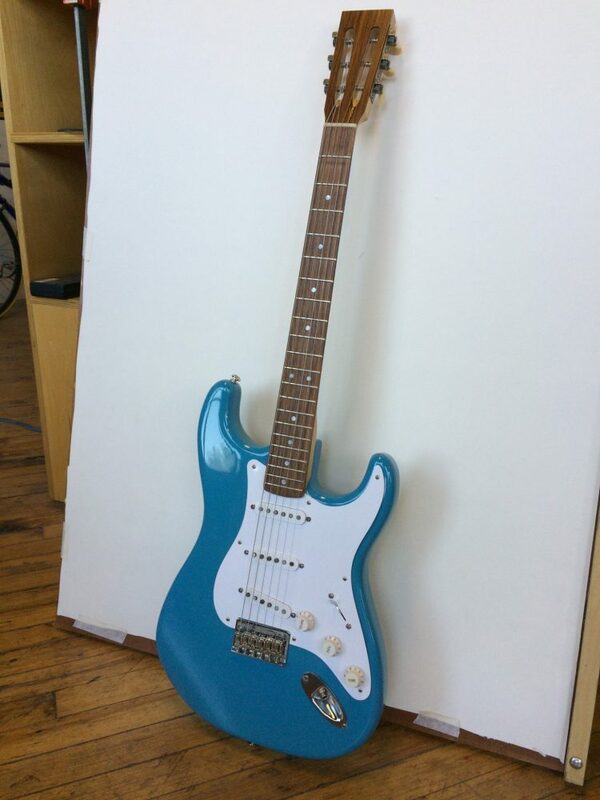 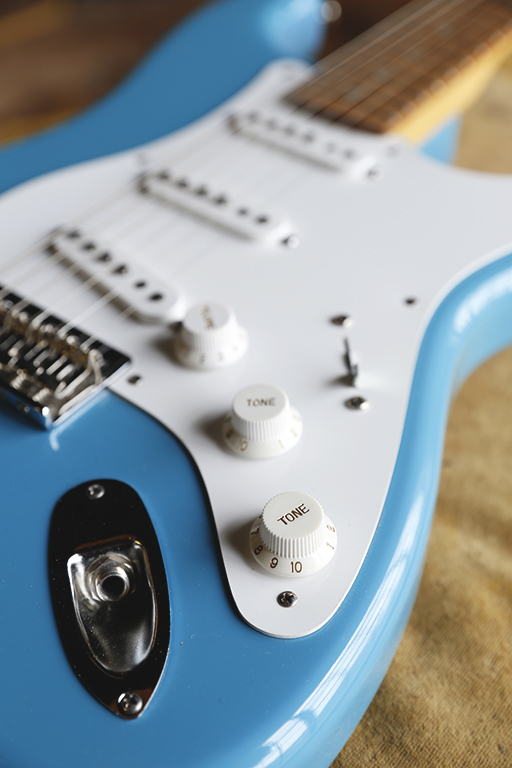 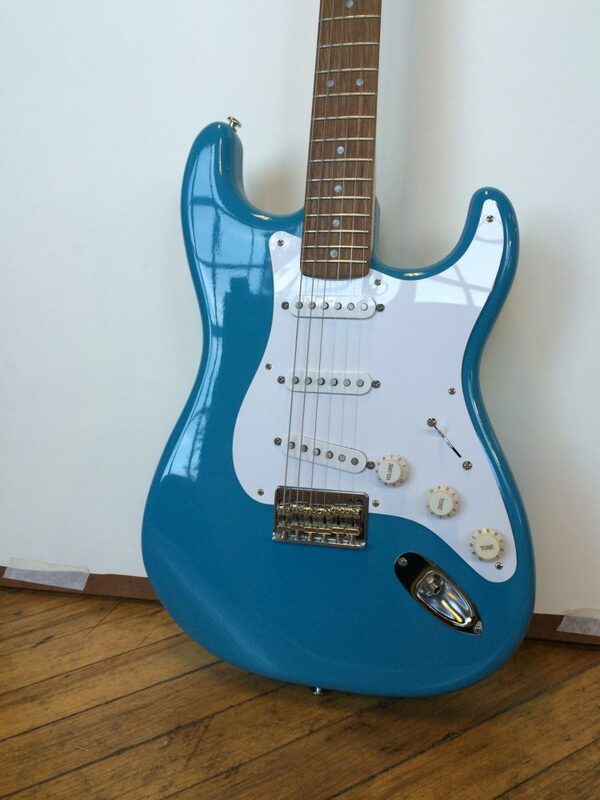 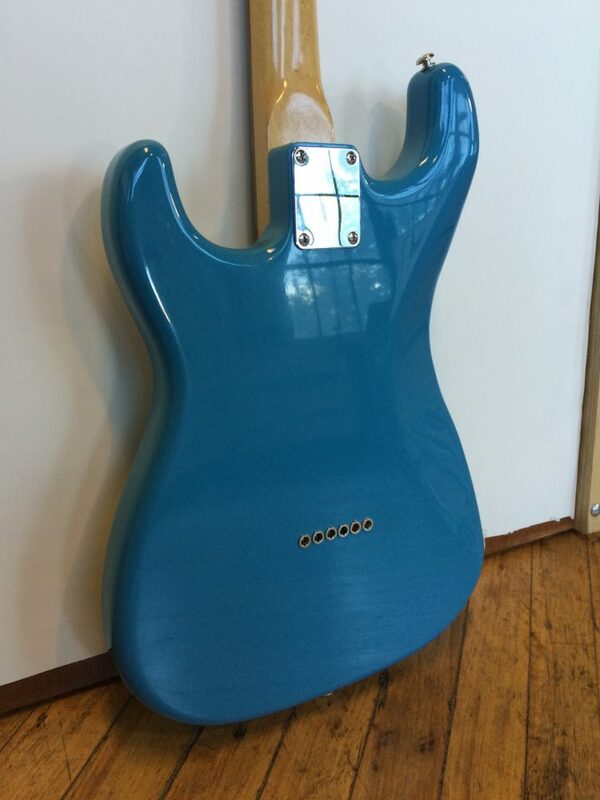 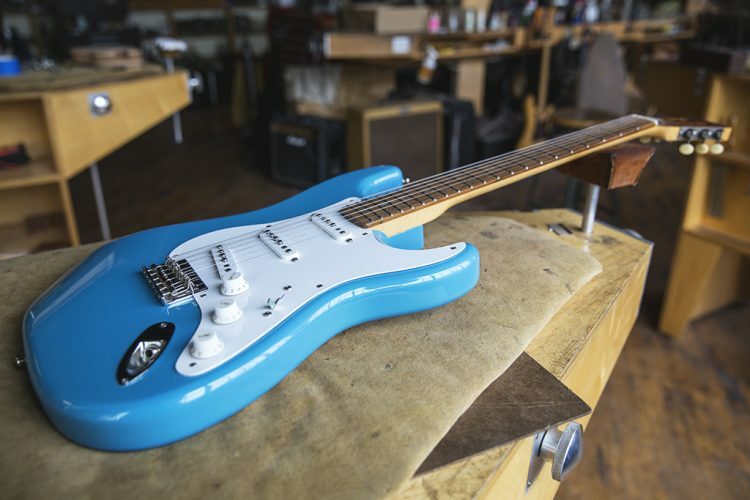 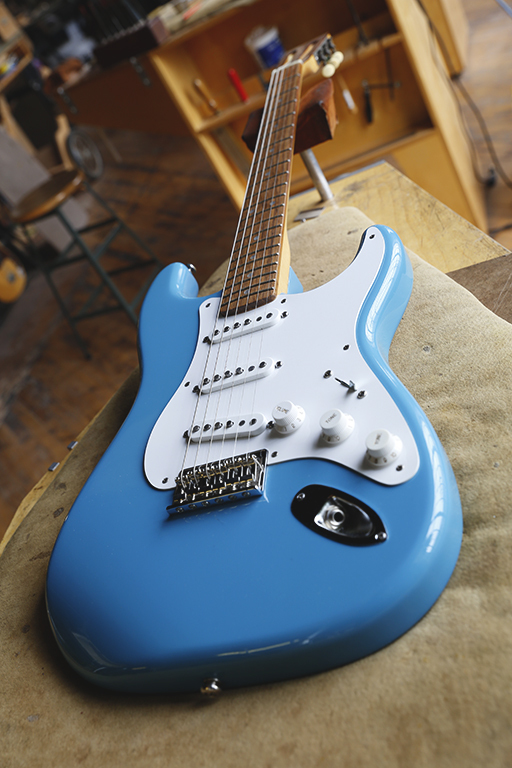 This Strat has a hardtail bridge with three way stock wiring and Fender Texas Special pickups. 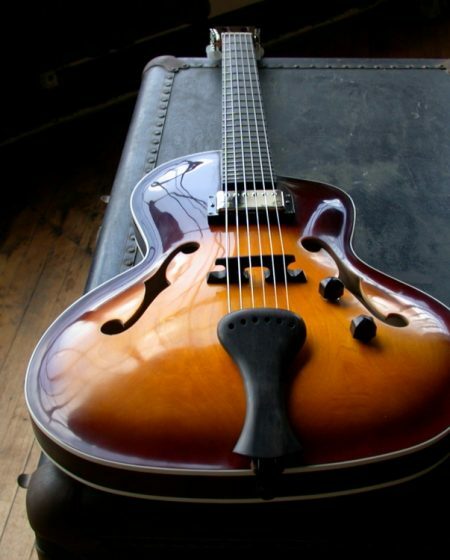 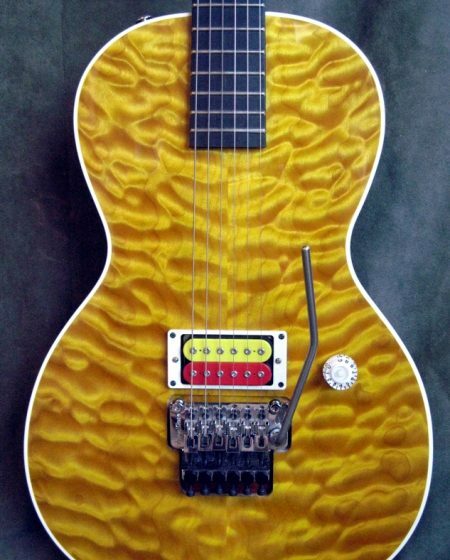 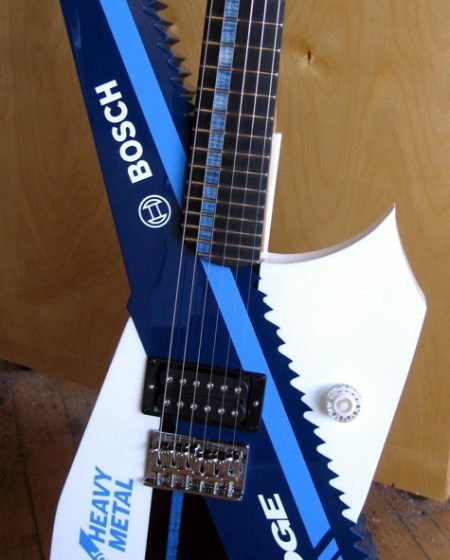 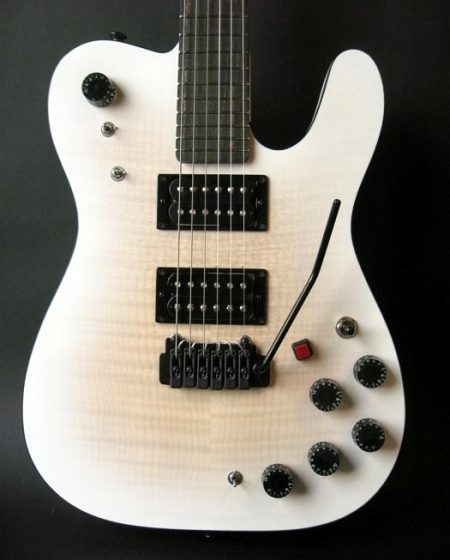 A plainly unique instrument. 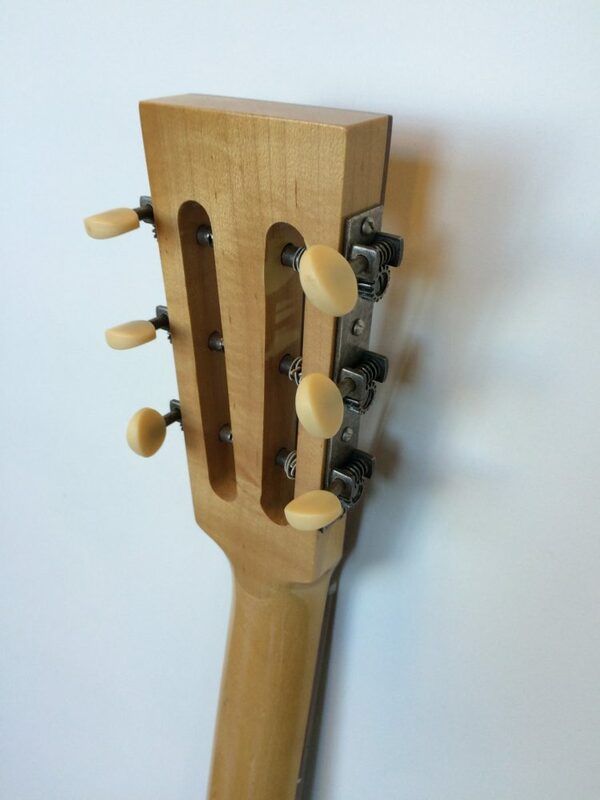 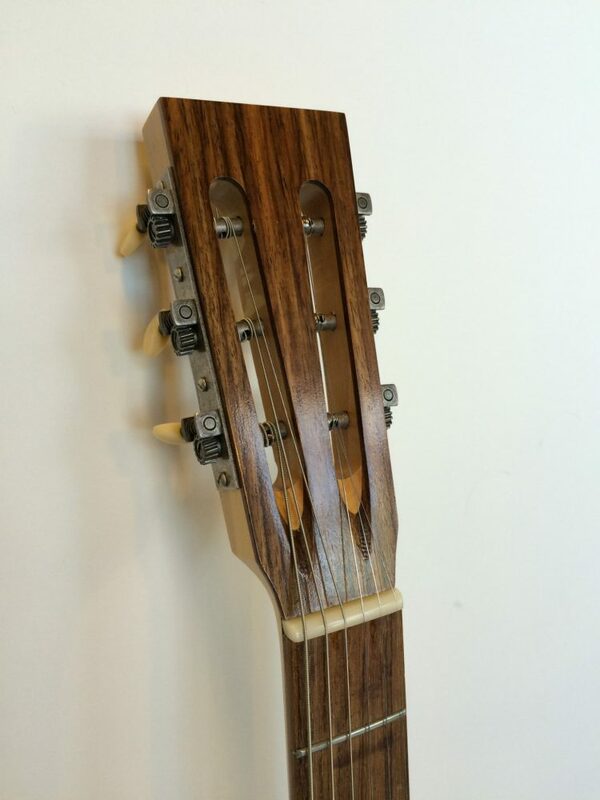 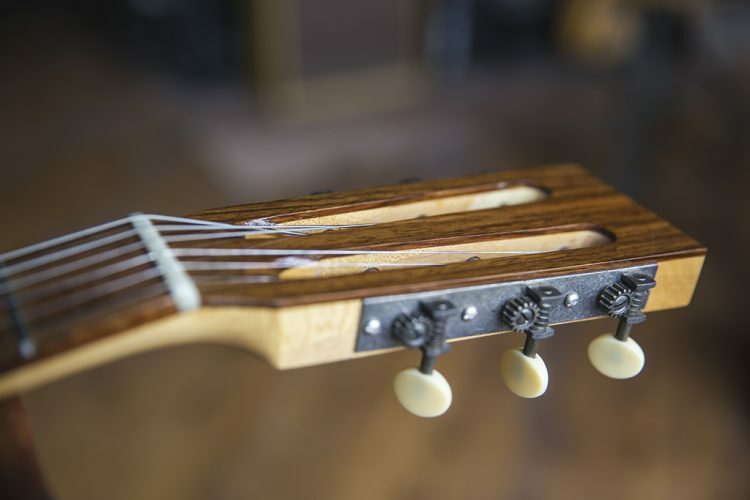 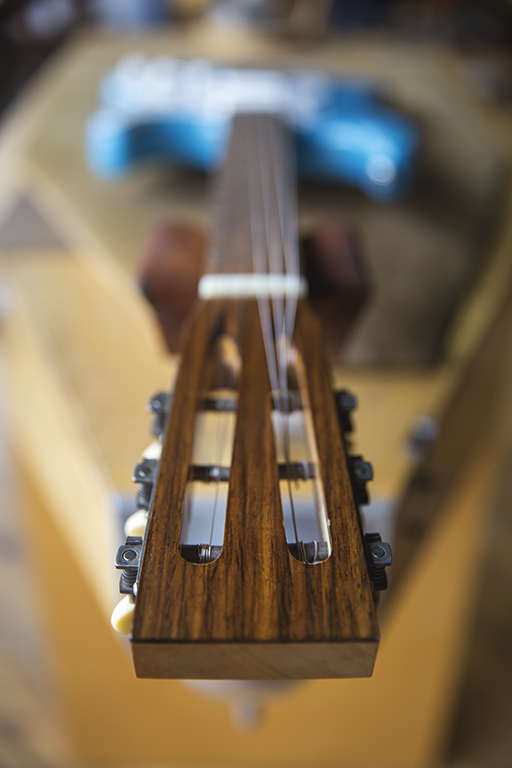 The slotted headstock with it’s enhanced break angle over the nut, imparts a superior vibrational embedment into the neck, with extra sustain and shimmering harmonics.